Introduce yourself, or feel free to ask questions! Skin Description: Daughter of King Shark and Princess of the Sea. Lala is very fascinated by landers (humans), since her mother was one of them and taught her a bit of their culture. She dreams about a world where her race can happily coexist with landers. Last edited by starnicus on 20 Jul 2018, 07:19, edited 1 time in total. 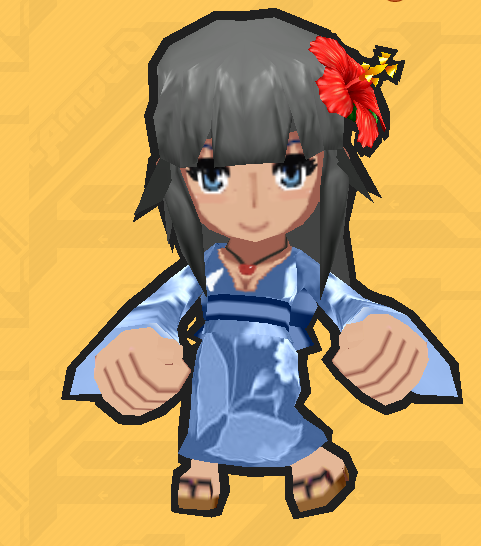 Skin description: Summer festival started , the curious mermaid princess traded her tails for legs to be able to go the summer festival. Skin Description: A person who could control the ice element and water. He likes to play with aquatic creatures. Skin Description: She was a mermaid and She was the best student in school under water. But she have to become a human. Because In the ocean, there is no man in her dreams. Her ultimate goal is to have a husband.She doesn't really care about species. Skin : Boy of the French Navy. Last edited by SkyView- on 27 Jul 2018, 11:06, edited 1 time in total. For the few of us, the ocean can be a scary place. What if we get lost? What if we drown? A hug from a lifebuoy is like an embrace from a caring older sister where In its arms you are safe and sound. The story of Lifebuoy girl. Standing by ships and on the lookout for those in need. Here to help and ready to rescue! Skin Description: Bob was an Orca who lived in Antartica before human scientists who wanted to create Super-Soldiers from Animals made him humanoid. Bob managed to escape and meet the General DaigoKuin Raizo who helped him. He fought For the Mega Force HQ during years and learned how to use his new body .This summer Bob retired at age 14 because the average life expectancy of a male Orca is 20 years old and he decided to go live in Hawaii. He sometimes swims with his orcas congeners who follow him. Description: He lives in the deep dark bottom of the Ocean, he needs his lantern to see, and also his sharp teeth to fight. He usually sees it as a bother so he just avoid it most of the time.. His teeth are too long, he can hardly close his mouth. He sometime goes to shore for sight seeing and such, but he only do that with his friend.